The RWS system secures wheels safely, quick and with unrivalled clamping force. Significantly lowered prices and available options for all open and 12 mm Thru axle dropouts turn the RWS into the perfect upgrade product for 2015. These fine skewers are manufactured completely out of aluminum, featuring a forged lever as well as machined and anodized axles. 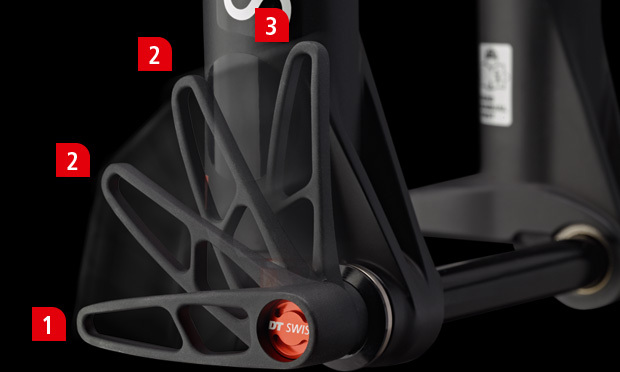 Finally, the finish quality is a fine example of Swiss precision. The RWS System is unrivaled for quick and safe wheel installations and removals. It combines the speed of a quick release with the strength and safety of a bolted system. The high precision ratchet allows to strongly tighten the connection and to place the lever in an ideal position. Available in an array of axle options for all uses, ranging from road to MTB and tandem. Purtroppo questo prodotto non &egrave; compatibile con la sua bici.